Join Pueblo Grande Museum and S.A.L.T. 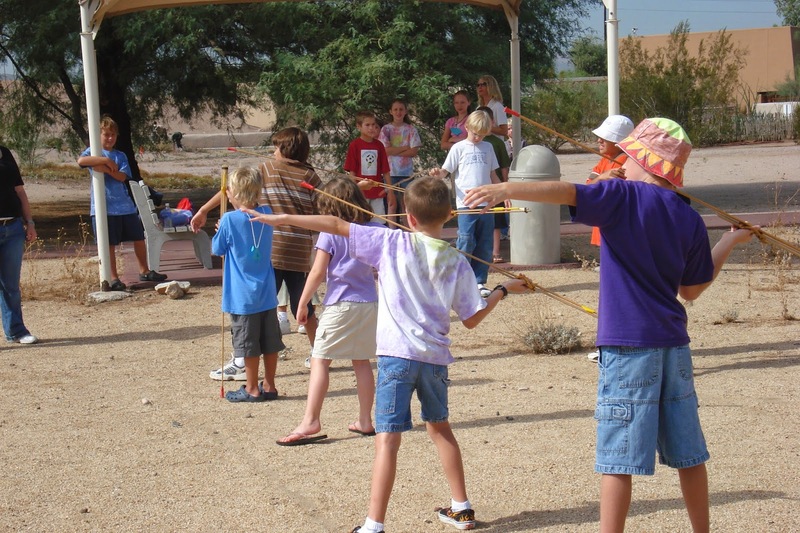 (Study of Ancient Lifeways and Technologies) in celebrating World Atlatl Day on Saturday, June 7th from 9 a.m. to noon! The Museum is celebrating by offering free admission all day, and the local primitive skills group S.A.L.T. will put on an atlatl demonstration and accuracy contest. The goal of this year's celebrations is to break the record for the most people ever throwing an atlatl on a single day around the world. So come out to the Museum and be counted! The atlatl is a weapon predating the bow and arrow. Used worldwide for thousands of years, it proved an effective weapon. A stick with a hook on the end to hold the dart/spear, it increased the distance, speed and force of the dart/spear. Everyone is welcome, no experience needed! The museum will be offering free admission and visitors can try throwing darts using the atlatl and even join in the accuracy competition. World Atlatl Association was started in 1987 with the purpose of promoting the atlatl and dart. 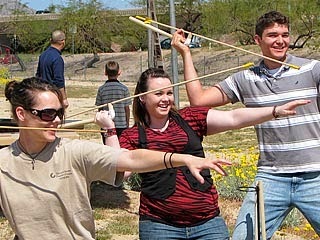 They strive to teach and share knowledge of the atlatl and promote interest and competition. They currently have members worldwide and promote accuracy competitions. SALT, Study of Ancient Lifeways and Technologies, is a local group whose mission is to teach, share, learn and practice the skills that allowed ancient people to not only survive but to thrive in their respective environments. This event and the museum are free and open to the public, donations are welcome. Pre-registration is not required and no experience is needed to join the atlatl competition. For more information please call 602-495-0901 or visit our website at www.pueblogrande.com. Pueblo Grande Museum is a museum which has a Hohokam culture about of 700 A.D.. 1,000 years old. Hiking and the tour facility attracts the visitors to it. It is the perfect for display the indoor and the outdoor exhibitions. I have been there before my washington dc bus tours with my family. The museum are free of coast I will recommend to the visit to to must enjoy there.